Witness the growth of The Village, the redevelopment of an old site, where the Wagon Wheel mobile home park, motel, and commercial buildings once gave life to the coastal city of Oxnard CA. This new development is known as The Village and was approved by the city on February 2009, according to Daly Group Inc., the entity responsible for the planning of the project. It’s exciting to see this amazing idea come to life and transform this blighted 64 acre site. Oxnard continues the spirit of ongoing improvement, growth and development. I look forward to the idea of The Village come to fruition, which will offer a high density and transit oriented village. The project mixes about 1,500 stacked flats, row houses, live-work units and luxury high rise condominiums within walking distance of “main st.” retail district with proposed shops and restaurants. An on site transit facility will will be offered and is designed to significantly reduce traffic in the area. As of Decemeber 4th, 2014 the site construcion looks like it's in full swing and the project is coming to life. Witness local history in the making! Rapid progess is being made on this Groundbreaking Poject in Oxnard CA. 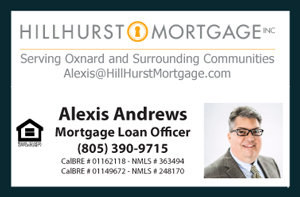 If you or anyone you know needs help relocating, please don't hesitate to call or text me for a Free No Obligation Consultation at (805) 444-6366.